Sally Van Winkle Campbell doesn't mention the "Old W.L. 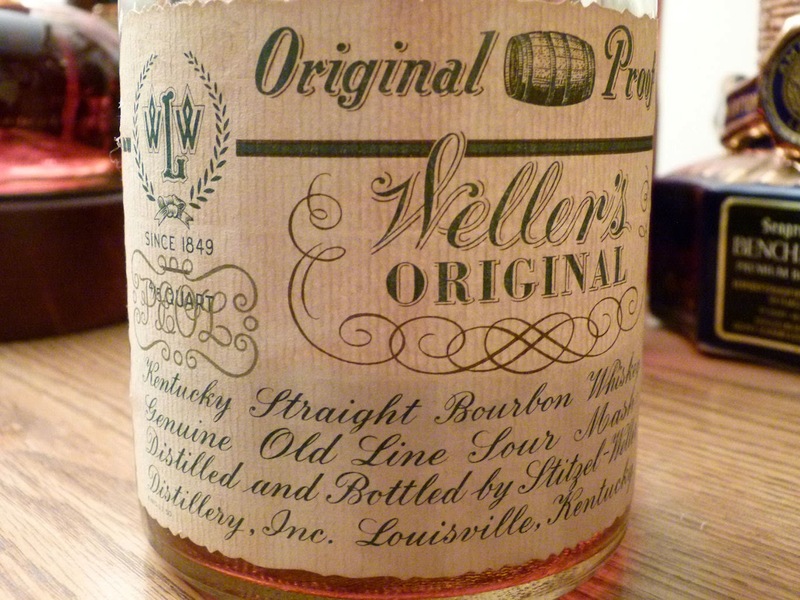 Weller" or "Old Weller Antique" brands by name in "But Always Fine Bourbon". Although she relates a story that "the reason that the distillery came out with 107 proof was because Pap's doctor said he could only have two drinks a day!" Recently, I got a much better answer from a hero of mine: John Lipman - part of the married duo "Ellenjay" (from the initials "L" and "J", for "Linda" and "John"). Not only do John and Linda know and tell the history of American whiskey in detail, they also get out and hunt up the bones of the lost distilleries, get the stories from old timers who remember. They put boots on the ground. I'm not sure about that doctor story, though. [Referring to Sally Van Winkle's story that Pappy's Doctor limited him to 2 drinks a day so Pappy made the whiskey stronger]. Of course, doctors might be scarce way out there on the wild Kentucky frontier and maybe there was only one, but I feel hard-pressed to believe that EVERY distiller got the same advice. 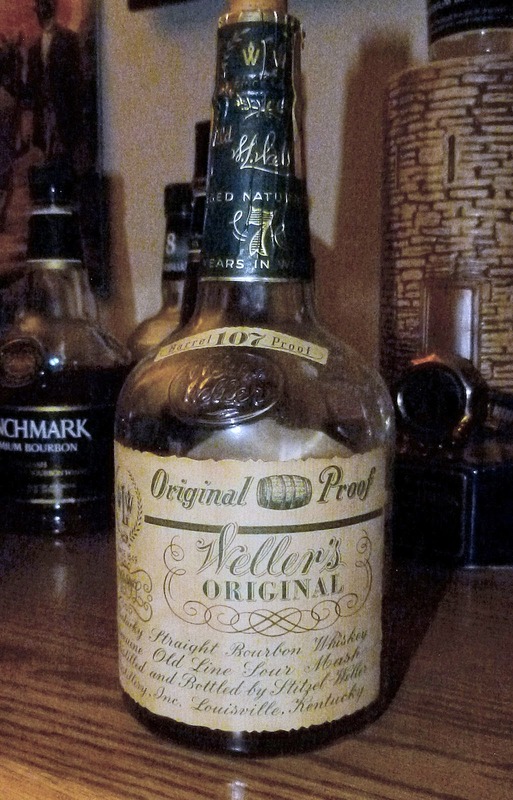 I do know that Pappy would have been a lot younger and more fit back in the late forties and early fifties when Weller's Original Proof was being sold. 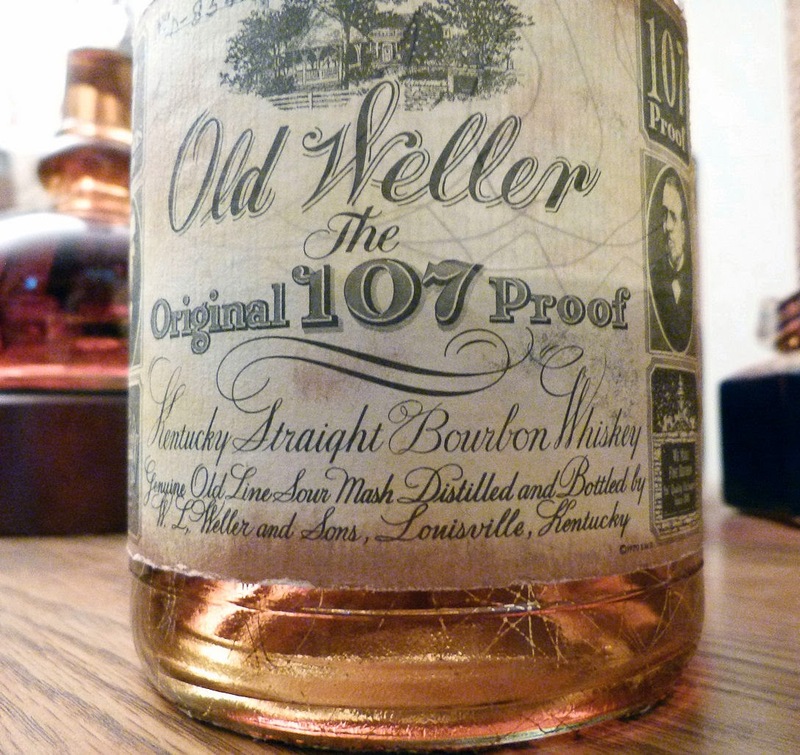 By the way, before those wonderful bottles of "Weller Antique Original 107 BRAND" came to market were several years' worth of "Weller Antique Original 107 PROOF", as in the other pictures. Since all of these actually were 107 proof, I don't know the reason for the changes. Maybe they had planned to dilute the "...Brand" version but never actually did. I dunno. My conclusion about the ubiquity of 107 proof is that, until 1962, distillers weren't allowed to barrel whiskey at 125 proof the way they do today; the law permitted no higher than 110, and traditional barrelings were mostly at 100. Given the normal rise in proof over 4 years, 107 was probably the expected dumping proof, which was then cut to 100, 86, or 80 in bottling. 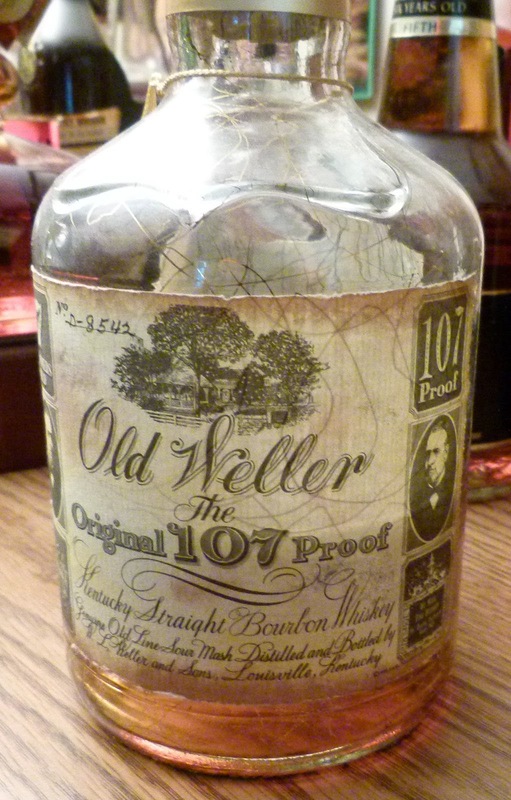 107 proof would be what we call "barrel proof" today. 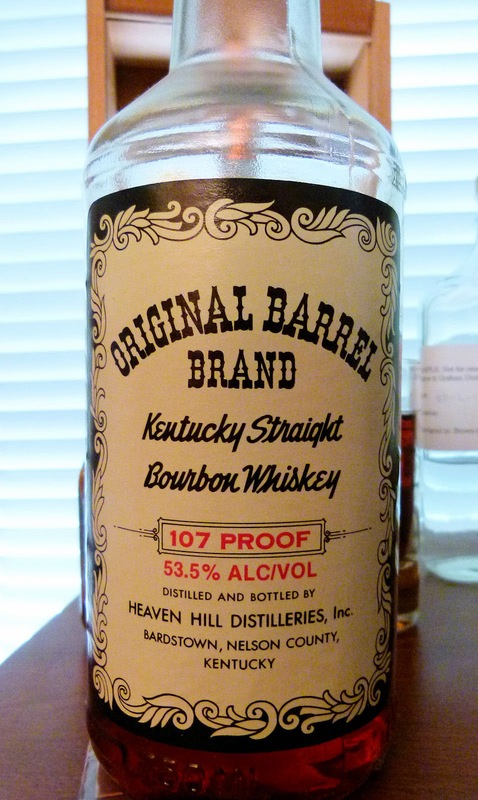 Heaven Hill Original Barrel Brand - very difficult to find, but possible. I've included a couple photos. Van Winkle Family Reserve 10 and 15 year old 107-proof. This came in a squat bottle similar to the Pure Kentucky from KBD. 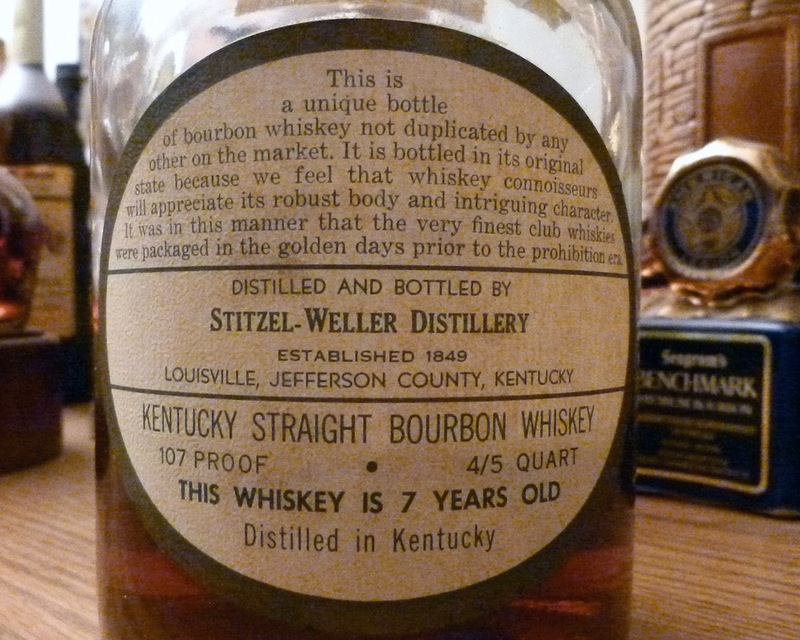 It predates the current Buffalo Trace version. About the only major distillery NOT marketing a 107-proof brand has been Four Roses, and that's because Seagrams' idea of bourbon was 80-proof and available only overseas; the Four Roses sold in the U.S. was a blended abomination. When Jim Rutledge acquired the helm, the 107 fad was already over and besides, he had better things to do with his juice. Maker's Mark may have had a 107-proof version; they sold (and still do) several varieties available only in Japan. This is the kind of posting that makes this Blog a must visit. Thanks Josh for your original post about the OWA tastings, Ellenjay for following up with Josh, then Josh, again, for compiling your conversation with John into another post. This is great stuff! Thanks so much, Alec. 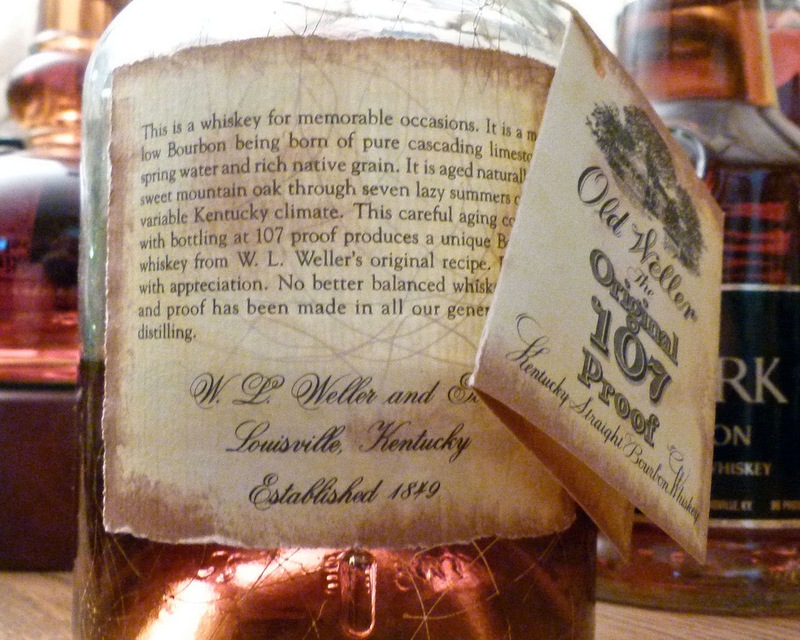 I had very little to do with this post except to be wrong about so many aspects of Old Weller Antique that it led people much smarter than I to correct me, for which I am grateful. Great info. Where would one even find a bottle of Original Barrel? I'm visiting bardstown and heaven hill in a few weeks. Any idea where I can find a bottle of original barrel brand for sale? Also, what is the most similar HH expression to it? I'd wager that Heaven Hill Original Barrel Brand is long gone. Dusty hunting may be your only play, but I had never even heard of the brand until John Lipman's piece and photograph. Perhaps an inquiry at Heaven Hill? I've never tried it, but I can vouch for Elijah Craig Barrel Proof. That stuff is awesome and must be more or less the same stuff. I'd love it if you'd e-mail me some photos of the bottle in question. My e-mail address is josh[at]cooperedtot.com (with an "@" sign in the place of "[at]" - trying to avoid spam robots combing through web content). I'll look up things based on the content you provided and would love to e-mail you in reply.